The Air Transat passenger who allegedly uttered terrorism threats aboard a Turkey-bound flight has been ordered to undergo a 30-day psychiatric evaluation. Dogan Akkaya was arrested at Montreal&apos;s Pierre Elliot Trudeau Airport on Sunday night, after pilots turned the plane around shortly following takeoff. The 25-year-old is accused of inciting fear of terrorism, assault, making death threats and criminal harassment. Akkaya&apos;s lawyer, Yves Gratton, said the incident began after the captain turned on the seatbelt sign indicating passengers needed to remain in their seats. Gratton said his client wanted to use the toilet but was told he had to remain seated. However, Gratton said Akkaya responded by saying "you&apos;re going to hear &apos;bang-bang,&apos;" adding "you&apos;re all going to die." The pilot turned the plane around, and Akkaya was arrested by Montreal police on landing. Today, in the courtroom for his bail hearing, Akkaya—speaking through a Turkish translator—told a Montreal courtroom he hadn&apos;t hit anyone on the plane and apologized for his actions. He said he does not believe he has psychological problems. Prosecution spokesman Jean-Pascal Boucher said Akkaya&apos;s psychiatric assessment could determine whether Akkaya was not criminally responsible for his actions. "We asked for an evaluation to make sure that—to see and to get the information—if at the time of the alleged infraction the individual suffered a mental disorder." 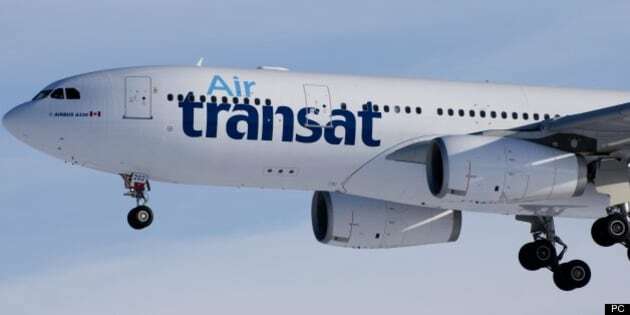 The Air Transat flight was on its way from Toronto to Istanbul and had stopped to pick up passengers in Montreal.